What pressures do women executives in Japan face? Which genes are responsible for different petal designs in flowers? How do people's implicit racial biases affect their voting behavior? Can a computer model show how the human body tries to repair the nervous system in multiple sclerosis? How can archaeological, literary and artistic representations of buildings in classical Athens help us understand Athenian society? Funding from donors in the university’s For the Bold campaign have enabled honors fellowship students to research these questions in the fields of science, art, international relations, literature and so much more. Last year, more than 1,200 gifts comprising more than $300,000 made these projects possible — all because of the generosity of donors who gave through the university’s crowdfunding effort. 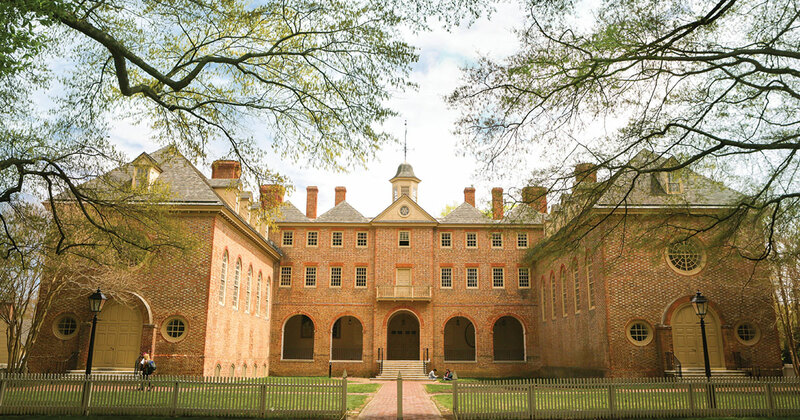 For years, the William & Mary Honors Fellowship Program has been utilizing crowdfunding to secure private dollars for seniors conducting honors projects. Students are able to share their project online through short videos, photos and written information so that donors get a sense of each project and can contribute to those that resonate with them. Honors fellowships are administered by the Roy R. Charles Center for Academic Excellence, which supports faculty development, student research and engaged learning, honors and interdisciplinary studies. The center's director, Wiengartner Professor of Government Joel Schwartz, is stepping down at the end of this semester after 30 years at the helm. "Joel helped to generate the focus on undergraduate research for which William & Mary has become justly famous. He eloquently advocates the benefits to students and faculty of working together on original research that ultimately allows students to discover new knowledge on their own," said the Dean of Arts & Sciences Kate Conley. Under his leadership, private funding for the Honors Fellowship Program has grown significantly. Approximately 10 percent of each senior class conducts an honors thesis, and about half apply for fellowship funding. Of the 72 applicants who participated in honors fellowships crowdfunding in spring 2017, 68 students received at least $4,000, enough to cover their 10-week summer research, and 32 students were fully funded at $6,000, which includes $1,000 for project-related expenses and $1,000 to support the research of their faculty advisors. Once the student receives funding, they are required to work full-time on their research for 10 weeks during the summer. The research they conduct must correlate with their senior’s honors project, for which they enroll during their fall and spring semesters. Throughout the experience, students blog about their progress, enabling donors to stay apprised of projects they support. More students than ever before have the funding to conduct honors projects. Schwartz has seen a dramatic increase in the number of fully funded student projects since the university started utilizing its crowdfunding model. All students who have been approved to participate in department honors are eligible to apply for honors fellowships. For Schwartz, there is no limit on the number of people the website can help. Though Schwartz is bidding farewell to campus in June, his legacy will be felt by all involved in the program for many years to come. "Joel has championed undergraduate research in Arts & Sciences and raised funds to support research opportunities for students through a broad range of programs and internships," said Conley. "I cannot speak highly enough of Joel, who brings exceptional listening skills and innovation to any project of which he is a part." Provost Michael R. Halleran echoes Dean Conley's sentiments. "Joel leaves a stellar legacy, marked by innovation and collaboration," said Halleran. "We will miss him greatly, but will have the benefit of what he has built in his three decades as director of the Charles Center."